Please introduce yourself and give us a brief background of yourself? Hi, this is Skylar & I’m one of very first tutors at CHARMYA. I’m 21 years old & specializing in Naval Architecture at Myanmar Maritime University in Thilawa. How did you discover CHARMYA and how was the process? I came to know about CHARMYA from my chubby classmate Htet Htet in October 2015. Her full explanation about this tutor project really attracted me and after some days, I went to the office and applied for it. Back then, the company only provided one big seminar only on Saturday of every week, there wasn’t any daily service like right now. On my first interview, which was English speaking test, I had to speak with Tomo, the boss. The first step was pretty easy. Then I had to sit for two more tests, join the training program & sit for final practical test. The interview system was not the same as well. The training days were pretty tiring but the whole experience of being evaluated was so challenging so I might say it was worth a try. Finally, after the entire process, I was registered as an official tutor & started my part-time career as a tutor with CHARMYA. What motivates you to continue teaching? It has now been about One year and two months since I have been working at CHARMYA and I have successfully taught 6 students, 3 of which am currently teaching. All my customers have been business persons. 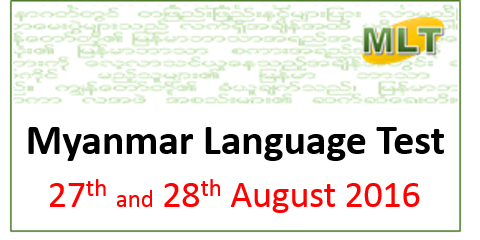 The more the customers want to learn Myanmar language, the more I have to read to explain to them so I have come to know more about Myanmar culture, alphabets and grammars in details. So I have come to love Myanmar language and I’m proud that I learnt many surprising facts from my teaching experience. I can now say I have had many good experiences with my job, how to deal with a customers, to be patient, been earning extra money and automatically practicing English language. I’m not now afraid of speaking with a foreigners and I might say I am ready to share Myanmar culture and language to anyone now. This developmental experience is what keeps me motivated. What is your best experience teaching with CHARMYA? The best experience is when I can make good connection with the customer on the lesson. I have had fun teaching Myanmar conversations to my students and felt really proud sharing Myanmar culture, history and tradition with them. It was also exciting to mention the tasty Myanmar restaurants, famous places and cities. The lectures are never boring when you have hardworking students. Being able to have smooth conversations in Myanmar language with my foreigner student is such a great experience and also a milestone to my work. Why would you recommend CHARMYA? 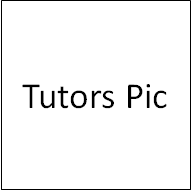 This tutor project is indeed a very promising chance for those who are seeking part-time jobs since there are not much part-time jobs in Myanmar, this job isn’t tiring & both the tutors & customers have valuable experiences and advantages.